Wedding! Which is the first word which runs through your mind when you hear this word? Uummm, yes not one word, but a sea of emotions and ideas. Who doesn't want to look their very best on their wedding day? Everyone! With the fashion forward world which we live in, dressing up for a wedding has become a real challenge. The bride being the cynosure of the wedding, it even becomes more than inevitable for the bride-to-be have a perfect designer wedding dress. Every bride dreams of a perfect wedding and in the quest of perfection, she also wants her wedding dress to be perfect and the best. She wants her dress to be unique and fabulous at the same time. Today we will be talking about CocoMelody which offers wedding dresses at an affordable rates without compromising on the quality or material used. The goal of CocoMelody is to make every bride happy, no matter what her budget may be. Cocomelody has all sorts of wedding dresses A-Line, Empire, Mermaid, Princess and Short reception. Their Designer Wedding Dresses comprise of Lily White Collection, Grace Luxury Collection, LB Studio. 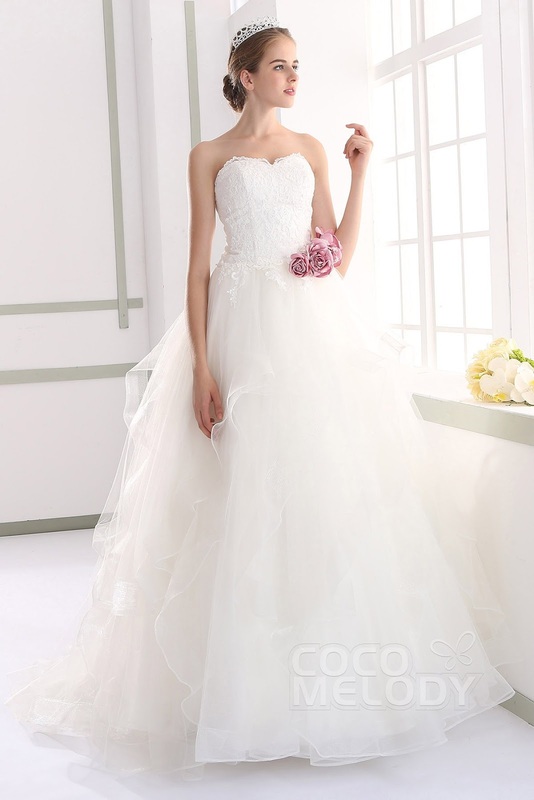 They also offer Destination Wedding dresses, Short Wedding Dresses and Customized Wedding Dresses. Even if you are not getting married, worry not, you can still shop from the Bridesmaid Dresses for your best friend's wedding from Cocomelody. Wouldn't it be great if the Bridesmaid's mother can also shop from the place where the Bridesmaid did? The answer would still be CocoMelody!!! We not only want to look our very best for wedding occasions but also on special occasions. Dressing up on such occasions is also made easy with Cocomelody as they offer dresses for Homecoming, Prom, Graduation, Cocktail and many more occasions.